The CENGN Summit will bring together 300 ICT professionals from across the country who work for small businesses, multinationals, government, and academia. Our goal is to have you leave the event with a better understanding of the key topics and trends in the technology sector. At this year’s event you will be learning about Prosperity Through Connectivity. Organizations today need access to high-speed connectivity and a durable infrastructure to continue driving the economy forward. Connected healthcare, autonomous vehicles, and smart agriculture are a few of the many applications arising from improved networks and infrastructure. Regardless of the industry, all organizations can benefit from enhanced connectivity. The CENGN Summit will emphasize this message with a look at how networking advancements have become a part of every sector and are critical to the success of any business and the economic strength of our country. Robert has also written speeches for a US President, Afghan President Hamid Karzai, Mongolian President, Elbegdorj Tsakhia. At the CENGN Summit, Robert will provide insight on his experience of digital transformation in the insurance industry as well as future societal changes we can see from next generation technologies, wearables, and autonomous vehicles. We’re curating panel discussions on how high-speed connectivity is transforming everyday business. Our three interactive panels will focus on the opportunities, strategies, and challenges of implementing networking advancements into all sectors across Canada. Business in a Hyper-Connected World: How advancements in the networking industry are changing the business landscape for ICT driven organizations and the strategies companies must use to ensure they not only stay relevant but are leading the way in the industry. Beyond the Smart City: Examining the challenges and solutions of extending ultra-speed connectivity outside the urban centres of Canada. Billion dollar rural and northern industries like mining, forestry, and agriculture, are critical to the Canadian economy. It is important for us to harness the potential of networking technology to ensure these industries are efficient, lucrative, and sustainable. Transforming Vertical Markets Through Connectivity: How connectivity is affecting traditional markets and what organizations can do to take advantage of these transformational technologies. This is fitting in with our theme, showing that there is no such thing as an unconnected business sector and that a region’s economic strength is directly correlated to high-speed infrastructure and connectivity. Just to highlight a few panel speakers, we have Javan Erfanian, a distinguished member of Bell Technical Staff at Bell Canada, as well as Mari Teitelbaum, who is VP, Provincial Programs and CIO of CHEO. 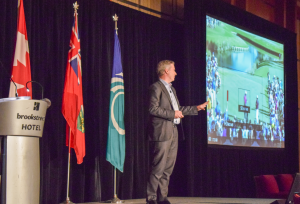 Attendees will get to hear 8 Canadian innovative companies speed pitch their business and solution in front of a crowd of over 300 ICT professionals. These high-growth, small to medium companies have products in the areas of cybersecurity, Internet of Things, connected healthcare, smart agriculture, and network applications. It will truly be a showcase of the thriving networking sector within our country. You get to hear about the latest innovations being made in the ICT sector from startups to globally operating enterprises. 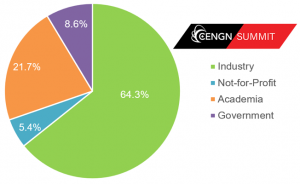 Attendees of the CENGN Summit get to learn how technologies like software-defined networking, cloud, and cybersecurity are having an impact on the industry, government, and everyday life. 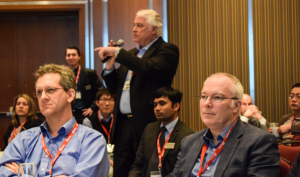 The discussion taking place at the CENGN Summit will provide insights on how you and your organization should be harnessing these technologies and how organizations can work together to continue driving forward innovation in Canadian technology. Each year, we include showcases of next generation technologies in the exhibition foyer. Several of our members and partners will have booths to demonstrate some of their latest networking projects. 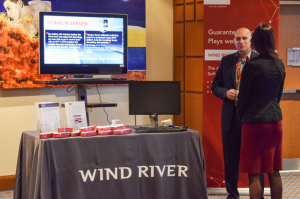 This year we have Bell, CloudOps, CANARIE, Juniper Networks, ORION, and more. For our attendees, this is a great interactive opportunity to learn more about their technological advancements and the major players in Canada’s ICT ecosystem. Throughout the day, there will be plenty of opportunities to network with those who are in attendance of the event, including our expert panelists and keynote presenters. The Summit has a strong presence from private industry, large and small, policy makers, and academia, making the event ideal for partnership building. Our Summit is designed to be a learning opportunity for those at all different levels of knowledge and expertise. 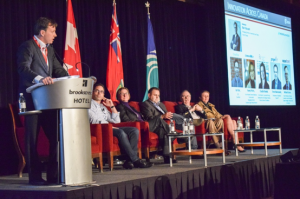 We want our guests, as well as our speakers, to walk away from the informative program and the innovative ideas shared, with a better understanding of the industry and its effect on the Canadian innovation ecosystem. You will gain knowledge that can be implemented in your career and the strategic decisions for your business. 10. An Experience You Will Not Forget! Besides our jam-packed program with engaging keynote speakers and interactive panels, the atmosphere at the CENGN Summit is always bustling with the 300 people present. The event is taking place at the BrookStreet Hotel, Ottawa’s leading 4 Diamond location in the heart of Kanata’s tech park, with food throughout the day as well as a foyer space and Craft Brew Tour to wrap up the event. The only problem is that the CENGN Summit is on course to sell out. Register today to take advantage of this opportunity while you can!